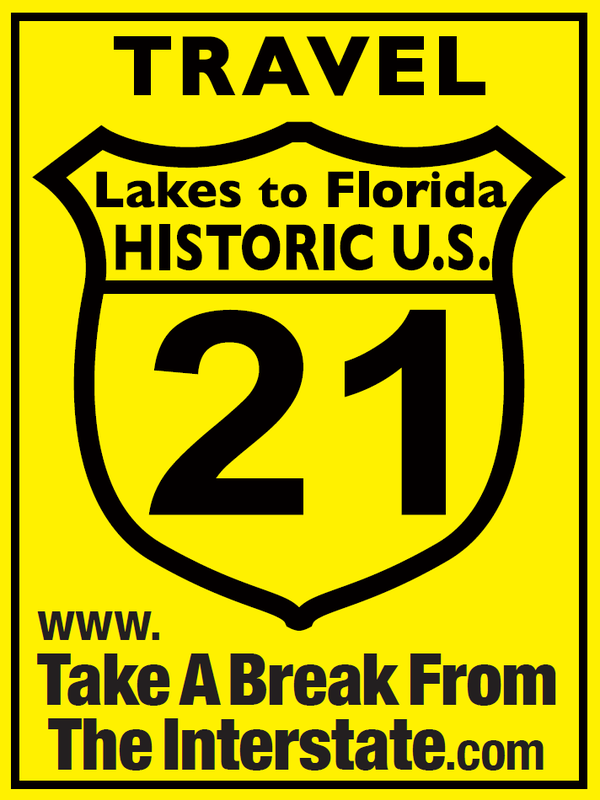 Launched in 2013, Take a Break from the Interstate is a multi-state tourism initiative aimed at spurring economic development through tourism along Historic U.S. Highway 21. The non-profit cooperative effort was originally formed by leaders in the towns of Wytheville, Jonesville and Elkin, as well as the counties of Wilkes, Grayson, Alleghany and Wythe. Since its launch, the program has expanded to include the Town of Harmony, North Carolina, and now boasts of more than 100 miles.